The Southern Poverty Law Center (SPLC), a liberal, Alabama-based 501(c)(3) tax-exempt charitable organization that has gained prominence on the left for its "hate group" designations, pushes millions of dollars to offshore entities as part of its business dealings, records show. Additionally, the nonprofit pays lucrative six-figure salaries to its top directors and key employees while spending little on legal services despite its stated intent of "fighting hate and bigotry" using litigation, education, and other forms of advocacy. The Southern Poverty Law Center is perhaps best known for its "hate map," a collection of organizations the nonprofit deems "domestic hate groups" that lists mainstream conservative organizations alongside racist groups such as the Ku Klux Klan and is often referenced in the media. A gunman opened fire at the Washington, D.C., offices of the conservative Family Research Council in 2012 after seeing it listed as an "anti-gay" group on SPLC's website. Lucinda Chappelle, a principal at Jackson Thornton, the public accounting firm in Montgomery, Ala., that prepared the SPLC's tax forms, said she does not discuss client matters and hung up the phone when the Free Beacon contacted her in an attempt to get the most updated forms from the group in relation to its foreign business dealings. "I've never known a US-based nonprofit dealing in human rights or social services to have any foreign bank accounts," said Amy Sterling Casil, CEO of Pacific Human Capital, a California-based nonprofit consulting firm. "My impression based on prior interactions is that they have a small, modestly paid staff, and were regarded by most in the industry as frugal and reliable. I am stunned to learn of transfers of millions to offshore bank accounts. It is a huge red flag and would have been completely unacceptable to any wealthy, responsible, experienced board member who was committed to a charitable mission who I ever worked with." "It is unethical for any US-based charity to invest large sums of money overseas," said Casil. "I know of no legitimate reason for any US-based nonprofit to put money in overseas, unregulated bank accounts." "It seems extremely unusual for a ‘501(c)(3)' concentrating upon reducing poverty in the American South to have multiple bank accounts in tax haven nations," Charles Ortel, a former Wall Street analyst and financial advisor who helped uncover a 2009 financial scandal at General Electric, told the Free Beacon. Richard Cohen, president and chief executive officer of the SPLC, was given $346,218 in base compensation in 2015, its tax forms show. Cohen received $20,000 more in other reportable compensation and non-taxable benefits. 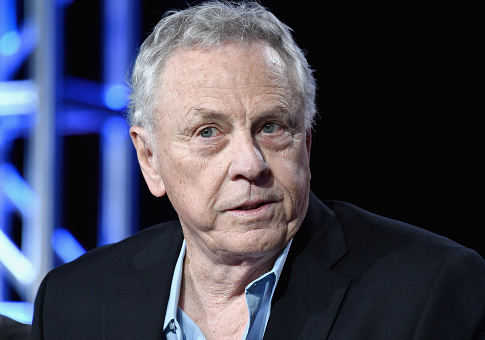 Morris Dees, SPLC's chief trial counsel, received a salary of $329,560 with $42,000 in additional reportable compensation and non-taxable benefits. The SPLC, which claims to boast a staff of 75 lawyers who practice in the area of children's rights, economic justice, immigrant justice, LGBT rights, and criminal justice reform, reported spending only $61,000 on legal services in 2015. J.P Morgan Chase vowed to add a $500,000 donation for the group's "work in tracking, exposing, and fighting hate groups and other extremist organizations." The Washington Times reported that CNN ran a wire story following the Charlottesville events originally titled, "Here are all the active hate groups where you live" using SPLC's list of 917 groups. Brad Dacus, the president of the Pacific Justice Institute, a Sacramento-based group that defends "religious freedom, parental rights, and other civil liberties without charge," was listed on the "hate groups" list. "Why is the Southern Poverty Law Center doing this? It's simple. They want to vilify and isolate anyone that doesn't agree with their very extremist leftist policy and ideology," Dacus told the Times. "This isn't about defending civil rights; this is about attacking civil rights." "I am shocked that CNN would publish such a false report on the heels of the Charlottesville tragedy," added Mat Staver, the founder of Liberty Counsel, a Christian nonprofit that provides pro bono assistance and representation, which is also featured on SPLC's list. "To lump peaceful Christian organizations, which condemn violence and racism, in with the KKK, neo-Nazis, and white supremacists is offensive. This is the epitome of fake news and is why people no longer trust the media." CNN later changed its headline to, "The Southern Poverty Law Center's list of hate groups." "The SPLC is an anti-conservative, anti-Christian hate group that the media have given pretend legitimacy to. One glance at their 990 tax forms is a reminder just what a fund-raising super-power it is," Dan Gainor, vice president of Business and Culture at the Media Research Center, told the Free Beacon. "Its assets are over $328 million in 2015 and went up $13 million in just one year. It doesn't need new liberal money. It could operate for at least six years and never raise a penny. It's like a perpetual motion machine for fundraisers." The SPLC has also been hit with a number of lawsuits over "hate" defamation claims in recent days.